We get asked this question a lot! Sports Massage is a specialist form of advanced massage therapy. 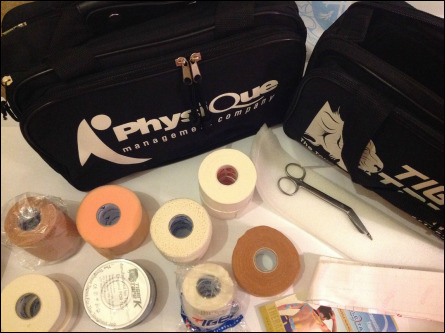 It has an overlap with many Osteopathic and Physiotherapy based soft tissue release treatments. In fact, many Osteopaths and Physiotherapists send their clients to us for more soft tissue manipulation to support their own work. We have many referrals from Cyprus' leading Doctors, Specialists, Surgeons, Osteopaths, Physiotherapists, Gym Instructors and Pilates Teachers. A Sports Massage is conducted by a specialist Sports Massage Therapist (that's me folks! ), who has undergone at the very least an ITEC Diploma certification programme and has passed the theory and the practical elements of study. The ITEC Diploma is the industry standard qualification. Although we practise Deep Tissue techniques, out training far exceeds a Deep Tissue day or weekend course. Ask your Sports Masseuse / Masseur for details of their qualification and how much experience they have had to date to ensure your safety. You will be asked to fill out a Consultation form on your first visit. This allows your Therapist to have detailed knowledge about your current and previous health, any injuries that you may have, or the reason for your visit to the Clinic. A treatment programme will be devised with your individual needs taken in to account. Notes will be kept to monitor your progress and you may even be set exercises, or stretches to do at home in between sessions. Aim for at least three sessions fairly close to each other for maximum benefit. However, you are entirely at liberty to have as many sessions as you deem fit, or as your budget allows. Many of our Clients attend weekly, bi-monthly and monthy sessions. 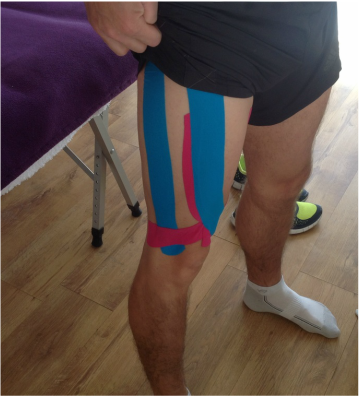 What can a Sports Massage do? Call to see if a Sports Massage is suitable for you on +357 99231970. So, what happens in a typical session? There is no typical Sports Massage session. It purely depends on each individual's needs. Boys please bring a pair of shorts and girls bring shorts and a vest top or old bra. Sports Massage focuses on specific muscles; for example, if you have lower back pain, following the Consultation, we will tend to work the muscles all around the pelvic girdle. It is impossible to do a Full Body Sports Massage - this type of body work takes time. Be ready to describe your main area of muscular need. Treatments are tailored to individual's needs. ​It also helps with many other aches/pains/muscle related tightness caused by repetitive movements, body fatigue and stress. 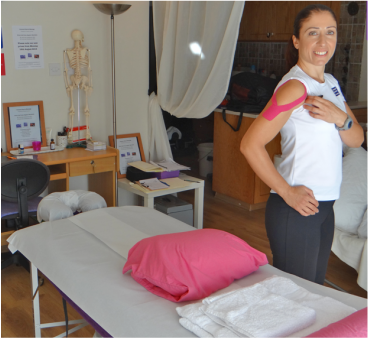 ﻿Why Limassol Sports Massage? Because we are professional, qualified, very experienced, registered to work in Cyprus, VAT registered, insured, affiliated to a UK/International Governing Professional Body , we have a current Sports First Aid Certificate, we have high hygiene standards, undergo regular Professional Development training and have paperwork systems for best practise in place - you won't get another treatment like ours!﻿ We have also practised a number of Sports over the years, which we believe help us to be a better therapist.